No, it isn’t. A suntan is the way your skin defends itself after being exposed to UV radiation. 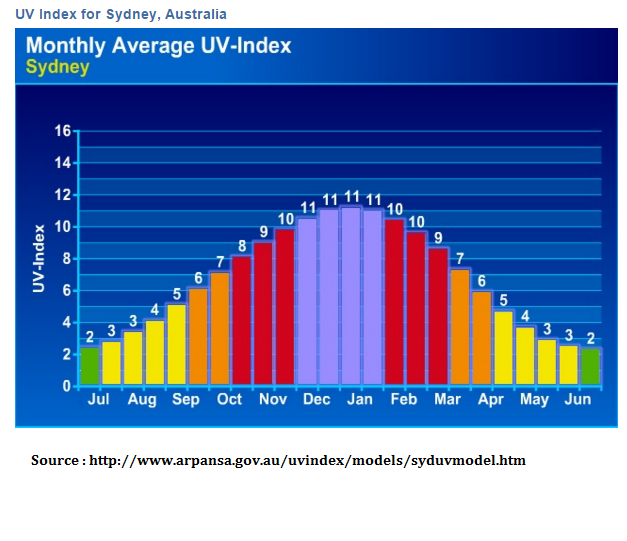 Yes the sun’s ultraviolet radiation(UV) is the best source of vitamin D but a tan is a sign you have had too much and once you have been sunburnt(often this happens before a tan) the damage has been done. You will note from the above Brisbane peaks at 13 and Sydney peaks at 11 and in Spring, Brisbane’s range is between 8 and 11 when Sydney experiences 5-10. 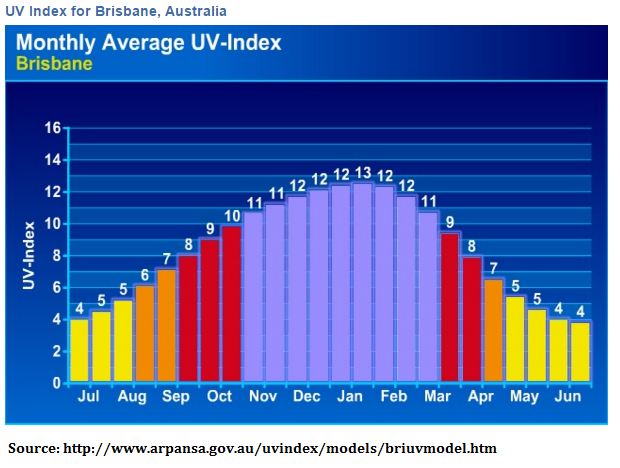 So sunbathing in Brisbane and Qld as a whole is far more dangerous than Sydney for example. Dark skinned people(as opposed to well tanned people) do tend to experience less skin damage than lighter skinned people though the death of Bob Marley from skin cancer was not an isolated case. Darker skin tends to have more melanin. Melanin is a pigment that helps to slow the damage of your DNA when exposed to UV radiation. When a lighter skinned person sunbathes their skin makes more melanin to fight back against the UV rays of the sun. 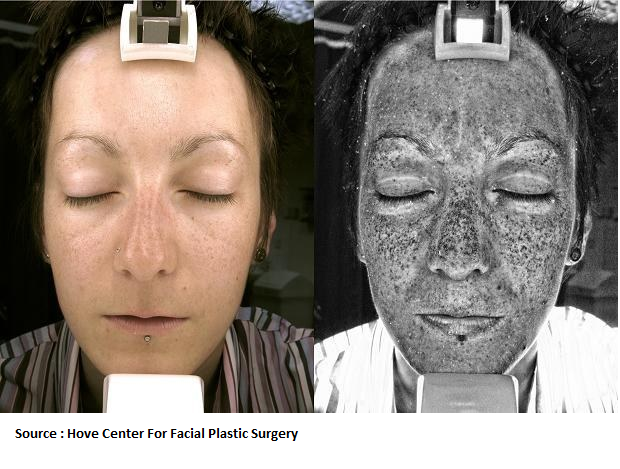 This image below is taken with equipment that demonstrates how melanin develops in clusters in the form of freckles. A suntan is a sign that skin has already been damaged.